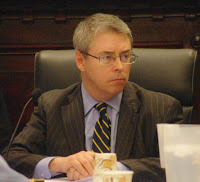 During my tenure on City Council, I have not only spent a considerable amount of time working with the Administration and the City's finances which has resulted in a spectacular credit rating for Hoboken, but have also chaired committees on economic (re)development concerning several very important projects throughout the City - namely the Western Edge, the main Post Office and the North End. These redevelopment projects have been in the works for a number of years, and in the case of the Western Edge, long before my election to City Council. They have been derailed due to a variety of issues such as poor planning, litigation, lack of political will, lack of prioritization of these projects, and disagreements on approach. For the majority of the Council members, current approaches are supported by very well-regarded professional teams of planners. One of the most significant results of the finalization of these current projects will be the diversification of our municipal tax base that will lessen the tax burden to residents. Residential will be incorporated, but the goal is more mixed use, with hotels and street scape retail to keep our streets alive. The Survey attached below invites the community to provide critical feedback on the vision for the North End of Hoboken - north of 14th Street, west of Willow, and two blocks east of Willow from 14th to 16th Street. This is the first step in the process which will include community workshops, creation of a plan and development of the area. The Survey concludes Friday, March 24th. Please be sure to share with other condo owners and neighbors so we can gather as much information as possible. As always, your input matters. Thanks! !